As experienced AC contractors who still love their job after so many years, our dedication needs to go past cooling a customer's home – we also need to worry about their health. We spend so much time focusing on foreign threats that we ignore those that are closest to us. Having polluted air inside your home and breathing it anywhere from 8 to 24 hours a day is about as dangerous as you could imagine. It's not just you who is at risk here: anyone else under your roof could experience health issues as the dust and pollen build up over months and years. There are no clear cut ways to completely stop pollutants from entering your home. However, you can make steps in the right direction that will greatly improve your quality of life and let you breathe freely after a long while. 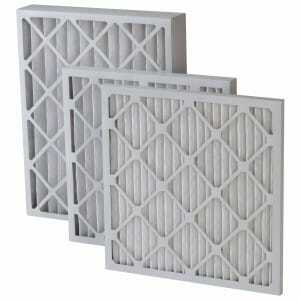 Air filters are, in theory, a major defense against pollutants. Unfortunately, not only are they not very good at blocking out pollutants, but they also tend to get dirty very quickly, becoming a ticking time bomb of respiratory ailments. If your air filters have seen better days, there's no need to get down and dirty while risking inhalation of harmful substances – we can replace them for you using the top models on the market. ​Because the air duct system plays such a key role in delivering fresh air to a home, we extend our full range of air duct cleaning services to all customers – from cleaning to maintenance to repairs, we can have your ducts in pristine condition in no time. While we will outline some steps you can do to improve your air quality, tackling air ducts on your own isn't one of them and could lead to disaster. There is also the option of installing an air purifier. These things aren't lacking in efficiency and will greatly reduce the amount of pollution in your home even if your cleaning habits aren't the best. There's just one problem: they can be quite expensive. But if you have the means and the desire to try this method of improving air quality, we'll be happy to outfit you with a purifier that will have you breathing fresh. Nice as these gizmos are, we still feel there's no substitute for quality maintenance when it comes to having fresh air. Try to catalog everything in your home that might be bringing down the air quality and see about throwing some of it away or at least washing it. Keep those windows open too – while an open window during pollen season can bring more harm than good, it's almost always a good idea to open them regularly. Lastly, we would also like to recommend a quality AC system for your home. The range is quite varied – some of them come with their own purifiers while others can actually pollute your home further. To help you discern between the two, give us a call and we'll see what we can do about improving the time spent in your home.